The reality TV show “American Idol” has triggered a new trend – Idol search! 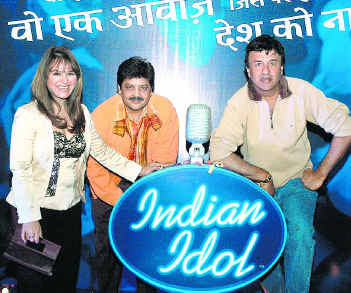 TV channels all over the world are searching for idols – or talents. This search is not only limited to the television screen, but it has also proliferated onto the stage in various forms. Although the primary objective of this kind of shows is to screen for talent, in reality (excuse the pun) it is nothing but an entertainment show. The excitement, the drama, and the occasional emotional outbursts, are all part of the show. Undoubtedly, such shows do bring many talented men, women and children to the limelight, but is this the right way to do explore talent? In many cases, the exploration turns to exploitation – especially for the young participants. They have to go through a grueling screening process, sustain a tremendous pressure to perform, and then handle a barrage of criticism from the celebrity judges. I know in one dance show, a young girl couldn’t take the judges criticism anymore and had a nervous breakdown resulting in a paralytic fit. In several instances the young competitors sacrifice their education to continue the show. But the tragedy is, in most cases the winner is not judged by the celebrity panel whose criticism these young participants have to encounter, but rather by the audience through cell/mobile phone text messages (SMS). And in this process, the wireless carrier mints money. I am sure the show also gets their share of this income too. I remember in one such show (on ETV Bangla) one of the judge (a famous musician) was so frustrated with this gaming system, that he almost stormed out of the show. His argument was that these shows undermine the hard work and perseverance most musicians and performing artists have to go through in order to make it in this difficult world. He pointed out that these shows are unfairly biased to popular cheap performances (because that’s what the masses like), rather than music that requires years of professional training and practice. Well, he may have a point but he should have known that before agreeing to become a judge. Lately, these shows are also held on live stage. Recently CAB (Cultural Association of Bengal) has announced NABC Idol, a show to select musical talent from this region to perform at the final to be held in San Jose in July. Arranging such a show is not trivial, and I hope this show will be successful in finding the real talent. The advertisement says that the judges will be all from overseas. I don’t know if this show will use SMS to collect audience voting to select the winners – that will be a major logistic and technical challenge. However, if this turns out to be the typical music competition that we used to have back home, it will undoubtedly lose some of its entertainment punch. I am not sure if the intention of the organizers is to make it a true talent search or a mere entertainment show, but I hope we’ll know that soon. This entry was posted in Arts-Culture and tagged advertisement, american idol, bangla, Bengal, CAB, Cultural, culture, drama, entertainment, messages sms, Music, NABC, performing artists, professional training, stage, train, wireless carrier by sudipta. Bookmark the permalink.